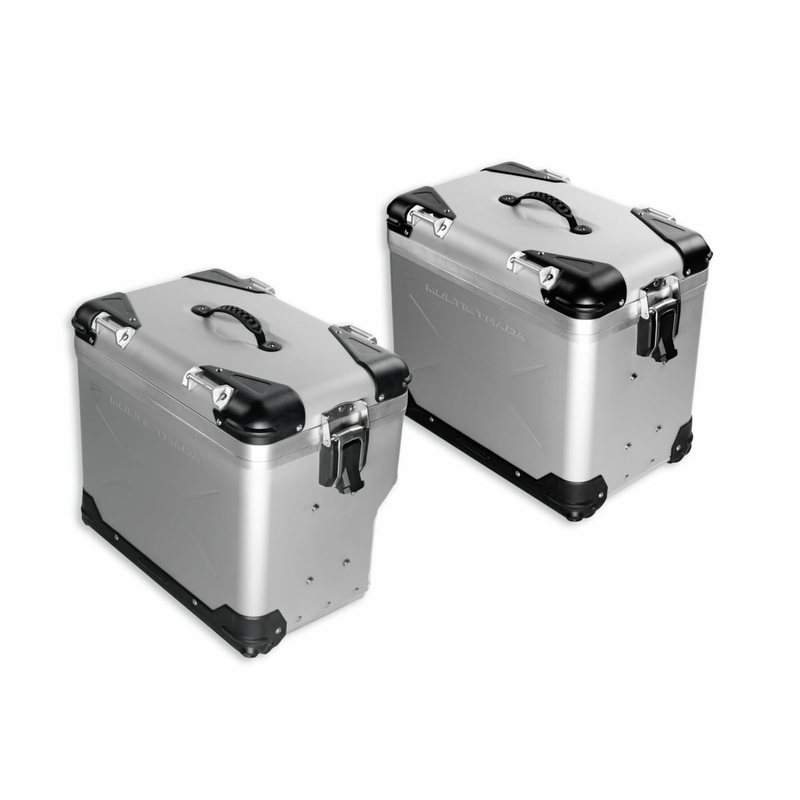 Manufactured in collaboration with Touratech, they are made from anodized natural aluminium. Top-opening design is very practical. 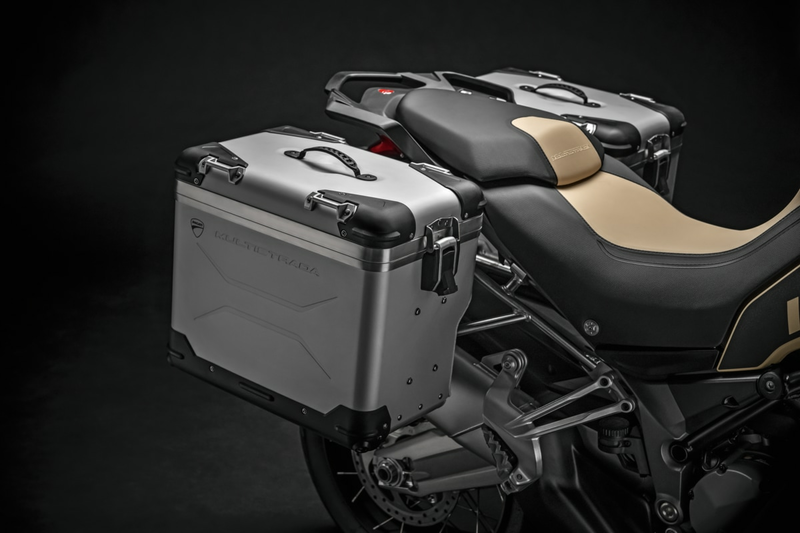 The left pannier can accommodate a full face helmet. 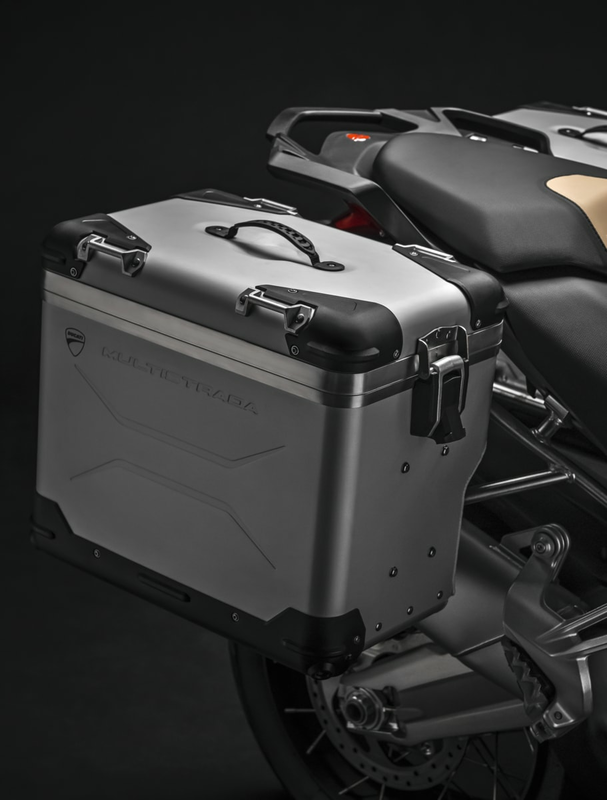 Featuring remarkable total capacity at 85 litres, they fit in perfectly with the bike without affecting handling. The locks are keyed to the ignition.